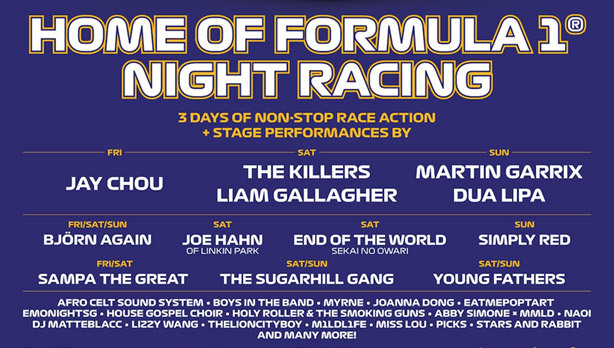 Race promoter Singapore GP Pte Ltd today unveiled even more acts to the already stellar entertainment line-up for the FORMULA 1 2018 SINGAPORE AIRLINES SINGAPORE GRAND PRIX, with previously announced acts Martin Garrix, Dua Lipa, The Killers, Liam Gallagher, Jay Chou, Simply Red, The Sugarhill Gang, Sekai No Owari (End of The World), Young Fathers and Björn Again. Adding an extra spark to the electrifying atmosphere at the Marina Bay Street Circuit are DJ Joe Hahn of Linkin Park, poet and singer-songwriter Sampa The Great, DJ Naoi as well as Singapore’s very own rapper, producer and music activist, THELIONCITYBOY this 14 to 16 September. Best known as DJ and turntablist for Grammy-winning rock band Linkin Park, Joe Hahn has directed over 30 of Linkin Park’s music videos. His passion for music, art and deejaying continues to take him around the world, and now to the Marina Bay Street Circuit where he’ll be spinning in his debut solo performance in Singapore at the Downtown Stage this 15 September. 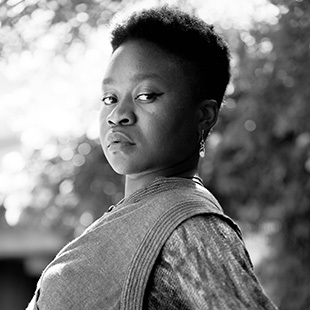 Zambia-born, Botswana-based poet and singer-songwriter, Sampa The Great captures you with her lyrical mastery, from spoken-word to pure hip-hop rapping. Counting Nina Simone, Lauryn Hill, Thandiswa Mazwai, Asa, Nneka and Yasiin Bey as influences in her debut 12-track release The Great Mixtape, Sampa’s single ‘Blue Boss' hit #1 on Hype Machine and reached 1 million Spotify plays in two months. Sampa has won over a wave of adoring fans with her live shows, having shared stages with artistes such as Kendrick Lamar, Thundercat, Hiatus Kaiyote, Ibeyi and Little Simz, while also appearing at festivals like Sugar Mountain, Laneway and WOMAD. Fans can look forward to Sampa’s experimental beats at the Downtown Stage on 14 September and the Sunset Stage on 15 September. Making his debut international appearance in Singapore is Manchester’s DJ Naoi. Naoi’s unique style and skill as both a DJ and producer span a wide spectrum of house and techno sub-genres, inventively fused with an eclectic funk and world-music groove, putting him at the forefront of Manchester’s cutting-edge club scene. Critically-acclaimed sets at iconic venues including Gorilla, South and Antwerp Mansion, appearances at V Fest and other leading events, as well as performances alongside ground-breaking artists such as Kydus, Denis Sulta and Le Fleur, have established Naoi’s reputation as a key emerging talent. Fans can look forward to partying with Naoi at the Uptown Village stage on 14 and 15 September. Tapping on his local roots in his chart-topping music, THELIONCITYBOY has estalished himself as one of the frontrunners in the Singapore music scene. Fresh off the success of his latest album Paradise, the rapper will being a bit of rap, hip-hop and a whole lot of local humour to the Esplanade Outdoor Theatre on 14 September. Patrons will be able to catch these performances at the Marina Bay Street Circuit with their FORMULA 1 2018 SINGAPORE AIRLINES SINGAPORE GRAND PRIX ticket. For more information or to purchase tickets (priced from S$78 for a single-day ticket or S$298 for a three-day ticket), visit www.singaporegp.sg. Tickets are also available via the hotline +65 6738 6738 as well as all authorised ticketing agents.